Jabalpur District Collector Chhavi Bharadwaj suspended the headmaster. Bhopal: The headmaster of a government school in Madhya Pradesh was suspended for allegedly making derogatory remarks about Chief Minister Kamal Nath. Mukesh Tiwari, the headmaster of government-run Kanishta Buniyadi Middle School in MP, had reportedly said, “Shivraj Singh Chouhan is ours but CM Kamal Nath is a dacoit.” The action was taken after a video of his speech went viral on social media. Speaking at an event, Tiwari can be seen ruing how nothing was done for the common man in the 14 years of BJP rule. He said, “Jab apno ne kuchh nahi kiya toh ghairon se kya ummeed.” He went on to add that Chouhan ‘jaise bhi ho, Kamal Nath daaku hain’. Later, Congress supporters met Jabalpur District Collector Chhavi Bharadwaj and demanded suspension of the headmaster. They threatened to go to Education Minister Prabhuram Choudhary if their demand was not met. Upon the examination of the video, the teacher was found guilty of violating the Madhya Pradesh Civil Services (Conduct) Rules and was suspended from the post. Hence, Jabalpur District Collector Chhavi Bharadwaj suspended the headmaster. 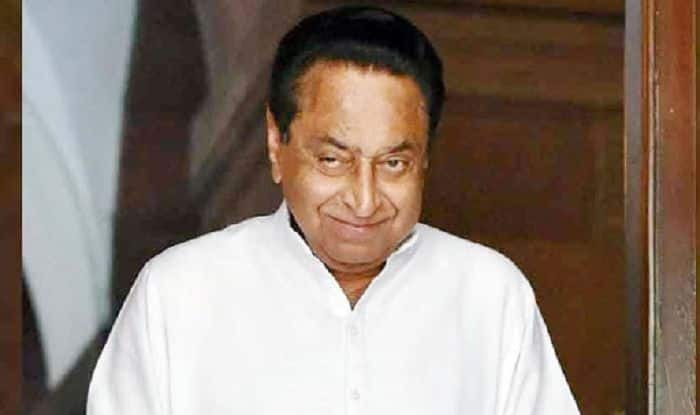 Following the headmaster’s suspension, Kamal Nath government was called a hypocrite and asked why Congress President Rahul Gandhi isn’t taken to task when he repeatedly calls Prime Minister Narendra Modi a ‘chor’. and There was a furore over the issue and people questioned the alleged hypocrisy of the Congress thus asking the need for such a stern action. On an earlier occasion, the Nath-led government found itself in a controversy as it spoke against people from UP and Bihar working in the state. After being sworn in as MP CM, Kamal Nath had announced a new state government policy under which industries availing investment incentives will need to give 70 per cent employment to the local youth.